The Centre for Cultural Resources and Training under the Ministry of Culture is calling out to upcoming young artistes, who intend to do advanced training in the fields of Indian classical music, Indian classical dance, theatre, mime, visual art, folk, traditional & indigenous arts, light classical music and others, to apply for this scholarship. Eligibility: Applicants, who have underwent at least five-year training with their Guru or institutes and are falling in the age group of 18 to 25 years, are considered eligible. Basic knowledge in the above-mentioned field is necessary. Details: Selected ones will be granted for a period of two years a sum of ~5,000 per month, which includes living expenses, travelling, books, art material or other equipment and tuition or training charges, if any. Google LLC with various other participating companies is inviting applications from amateur innovators and researchers to take part in their science fair and are giving them the opportunity to win lucrative prizes. Eligibility: Applicants, who are 13 to 18 years old and are not a family member of any of the participating companies (legally or otherwise), are eligible. Details: Grand prize of $50,000 and various other rewards including cash prize and science tours will be accorded to select students. 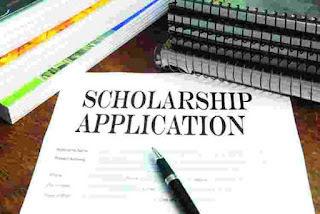 Students willing to pursue Baccalaureate, Graduation, Associate Degree or Diploma in any science related field are invited by Novus Biologicals USA, to apply for the scholarship and aid themselves financially. Eligibility: A candidate must be pursuing or should have been accepted in any science-related programme. Details: $1,500 will be given in this programme. This scholarship offer has been made by The Forum on Indian Traditional Medicine (FITM), in collaboration with the Ministry of AYUSH, to students who wish to pursue research in the area of economic, sociological, politico-economic, trade, management and digital or information technology related aspects of Indian Traditional Medicine (ITM). Eligibility: For Doctoral Fellowship, the applicant must be a full-time PhD scholar in a recognised university with age not more than 28 years. For Post-Doctoral Fellowship, PhD degree holder with age not more than 35 years. Details: Selected doctoral fellows will receive up to ~5,00,000 and ~7,50,000 will be rewarded to post-doctoral fellows.